Sign and Sign (up) Again? 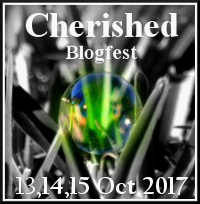 The Cherished Blogfest kicks off in two weeks. Perhaps you’re thinking of joining us. Perhaps, you’ve already signed-up. And, perhaps, you’re wondering why we’re going to ask you to sign-up again in two weeks.Well, we learned a few lessons when we ran this blogfest last year, and there are a few good reasons for getting you to sign-up now, and a bunch of good reasons to have you sign-up again. We want to be able to highlight the bloggers who participated “last year” when next year’s blogfest comes around. We want to be able to send you a reminder or two prior to the 29th. OK, that makes sense, but why the second list? The Cherished Blogfest proved to be more popular than we expected last year. This year is showing a similar level of interest (there are over 50 people signed-up already) and we want to be able to read and share the cherished posts. We also realize that some of you will post more than one cherished item. For example, a friend of mine is writing one for herself, one for one of her cats, and one for one of her fictional characters (pretty cool, wouldn’t you say?) Last year, I published one for me, and I published one written by my brother, who doesn’t (yet) have a blog. In addition, some of you normally publish more than once during any given 3-day period. So if we don’t get around to reading your post on the day you publish it, we might not see the right post. We will poke around, of course, but we want to be able to send people to your cherished post, from the Linky List. When you do post your cherished story, you can expect a visit from at least one and likely a few of the co-hosts. Last year, each of the co-hosts visited almost every post. Entering each post on that second list will ensure that we (and the other participants) see your post(s). The goal of the Cherished Blogfest is to share our stories, feelings and emotions about the things that are special to us. The goal of the co-hosts is to make this as easy as possible and to help introduce people to your blog, through your posts. If you’ve already signed-up, welcome aboard. If you’re still thinking about it, we hope you will join us (you can follow the link below). If you’re still trying to figure out what to write about (welcome to my world) you still have two weeks. This entry was posted in #CBF16, Cherished Blogfest and tagged linky lists, rationale, rules on July 15, 2016 by Dan Antion. Hi, Dan!!! Do we have this again this year? I’m not seeing any announcement, it seems. I would like to join again. We will be doing this again, but we’re going to move it to October. There will be an announcement post this weekend.